The uM-FPU uM-FPU V3.1 and uM-FPU V2 floating point coprocessor are easily interfaced with the Javelin Stamp™ to provide support for 32-bit floating point and 32-bit long integer operations. The Javelin Stamp can be interfaced to the uM-FPU using either an SPI or I2C connection. Reference guide for using uM-FPU V3.1 with the Javelin Stamp microcontroller. Interface routines for the BASIC Stamp microcontrollers. Updated for uM-FPU V3.1. See the uM-FPU V3 IDE for a description of the uM-FPU V3 Integrated Development Environment (IDE). The uM-FPU V3 IDE provides an expression compiler, debugger and function programmer to assist in developing and debugging code for the uM-FPU floating point coprocessor. 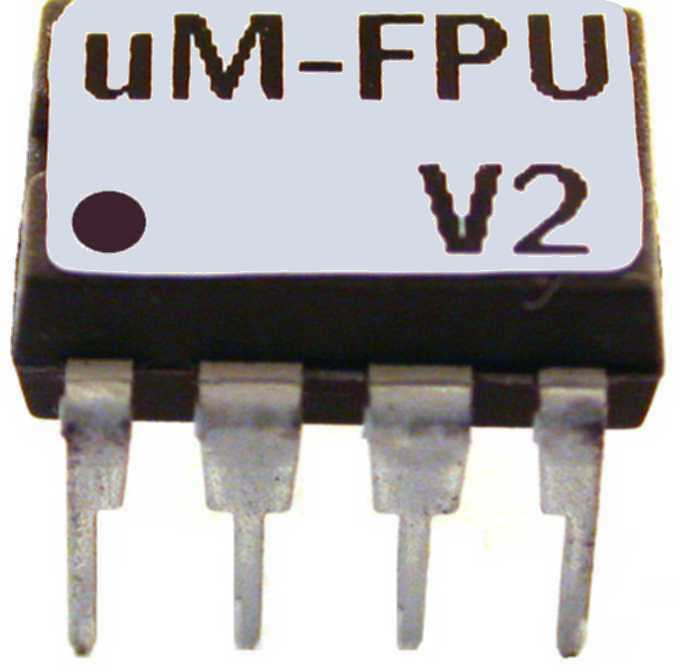 Reference guide for using uM-FPU V2 with Javelin Stamp microcontrollers. Supports both SPI and I2C interfaces and is compatible with the uM-FPU Integrated Development Environment (IDE). Reference guide for a previous package that is compatible with the Float32 software package. Provided for compatibility with existing software. Not recommended for new development. Support software for the Javelin Stamp microcontroller. Supports both SPI and I2C interfaces and is compatible with the uM-FPU Integrated Development Environment (IDE). Support package compatible with the Float32 software package. Provided for legacy software. Not recommended for new development.